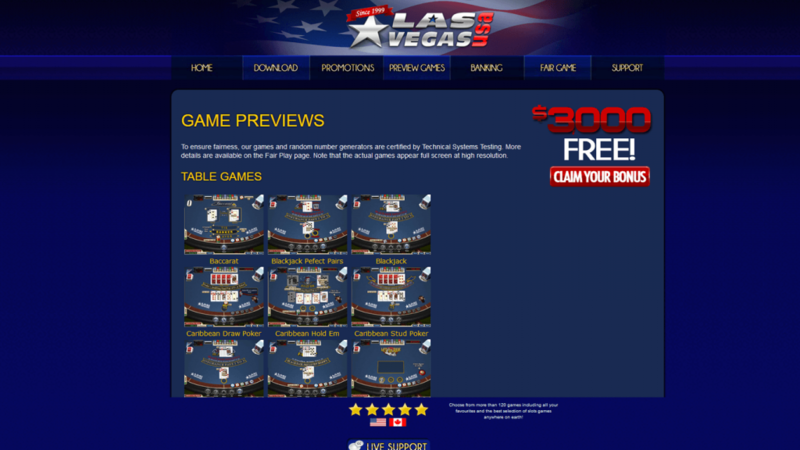 Las Vegas USA casino is an online casino that was launched in 1999. The casino is licensed to provide online gambling services by the government of Curacao. They use WGS Technology software (formerly known as Vegas Technology) to power their games. Las Vegas USA casino uses SSL encryption in order to ensure that all play and financial transactions conducted by players remain at all times. Their games are audited for fairness on a regular basis by Charles Mousseau, B. Sc., an independent gaming expert, who has awarded them the “Certified Fair Gaming” seal as a result of his audits. 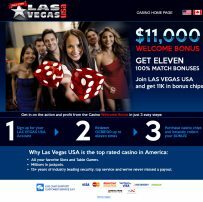 Players who deposit by credit card can claim bonuses of up to $US14000 on their first three deposits with the casino. 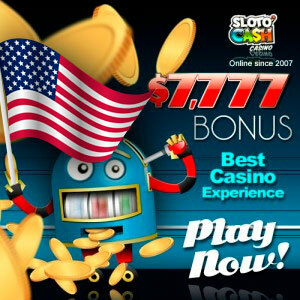 The casino also gives existing players weekly bonuses and other special promotions. 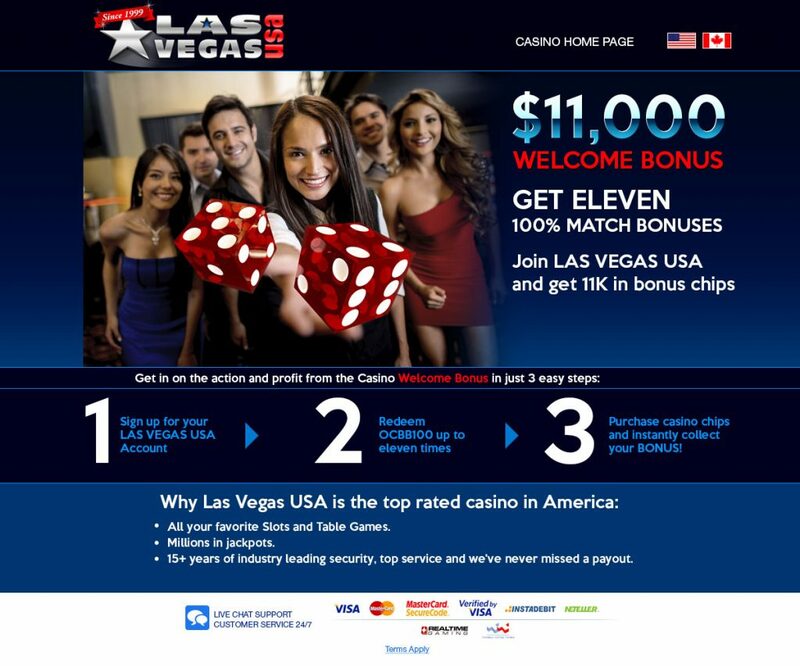 US players can make deposits at the casino by credit card or Quick Cash. They can make withdrawals by check, wire transfer and UnionPay debit card. The casino’s support is available around the clock and can be contacted by phone or by email. Las Vegas USA has recently added a mobile casino that can be played on most tablets and smartphones. Las Vegas USA casino offers hundreds of different games to its players. Their most popular games are the slots, like Cash Grab, Fat Cat and Dragon Master. 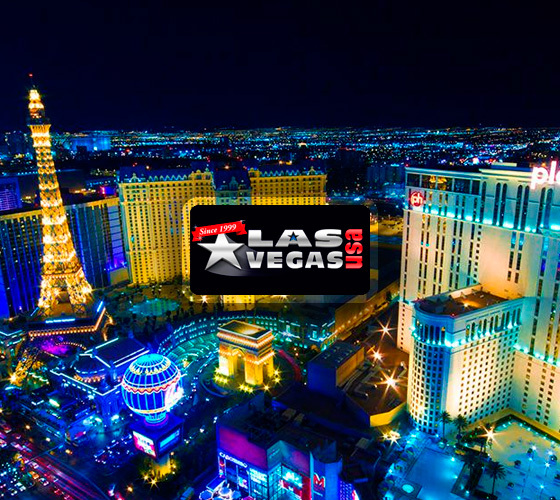 Las Vegas USA offers 3, 5 and 7-reel slots, classic table games, single hand, multi-hand and 100-hand video poker, as well as some specialty games like Poker Dice, Keno and Bingo Bucks, so there is a high chance that all players will find a game that they enjoy. When gambling at Las Vegas USA, players have the choice of either downloading the software to a Windows PC, or playing the Flash-based casino in their browser.